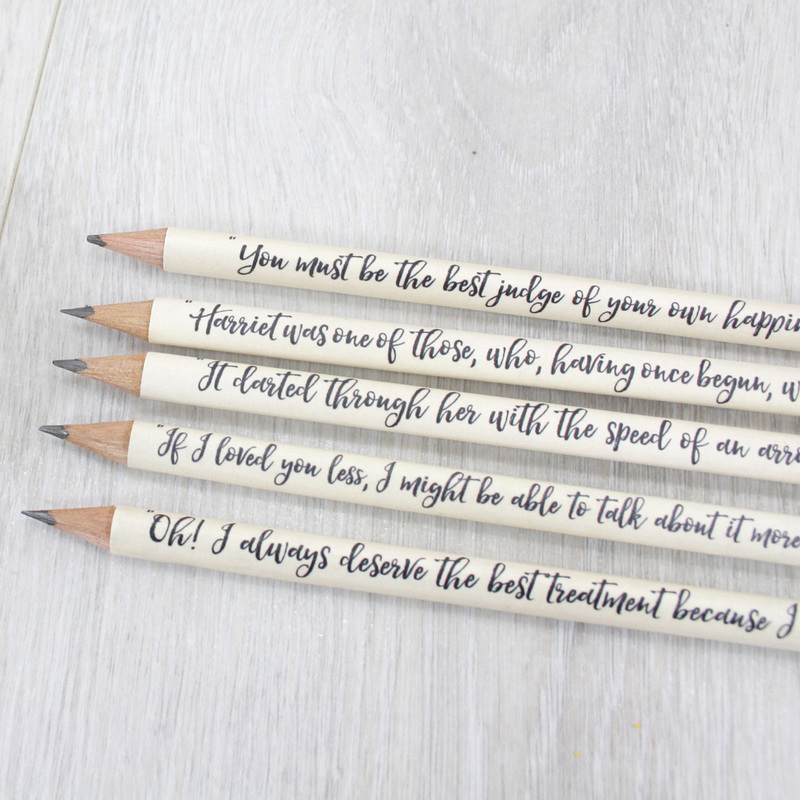 Emma Quote Pencils. 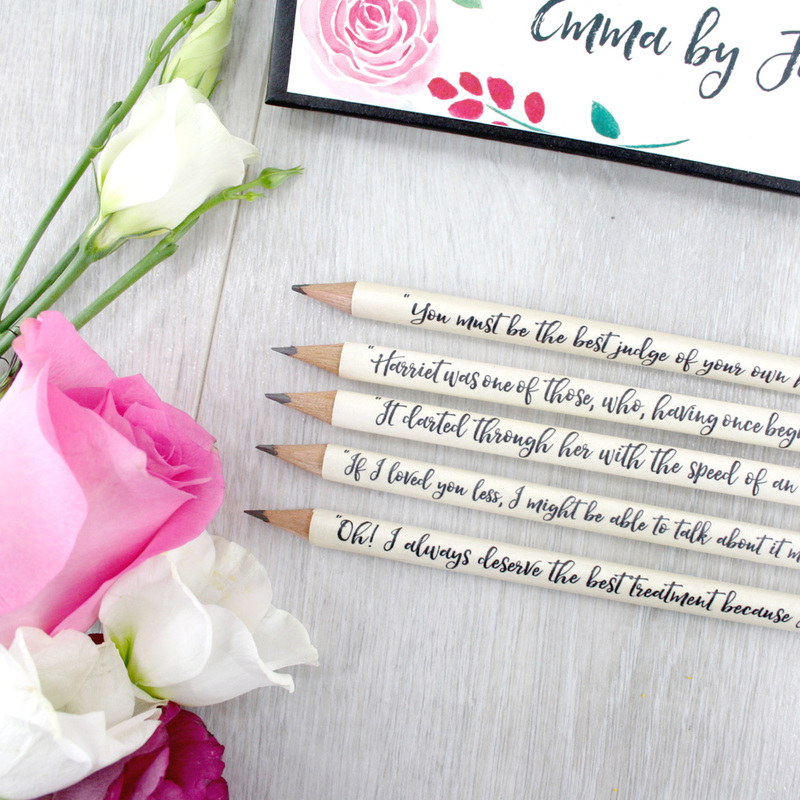 Book quotes from Jane Austen’s romantic novel ‘Emma’. 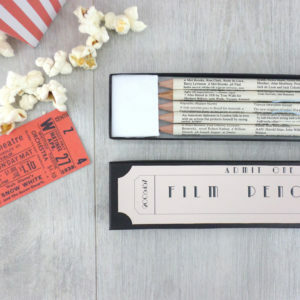 The matchmaker that meets her match. 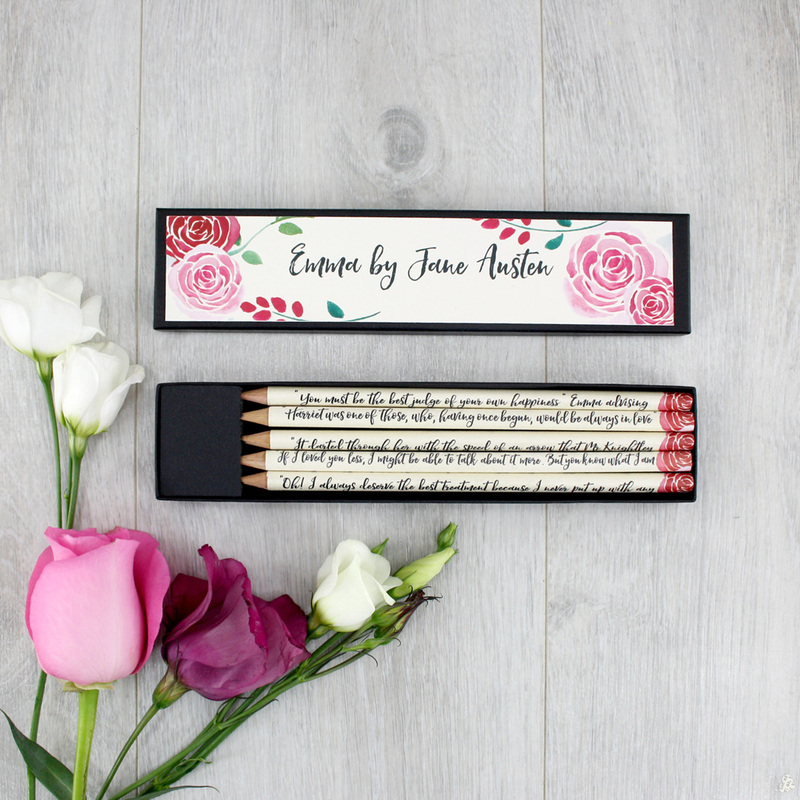 This gift pencil set is the perfect present for Jane Austen fans, book lovers and pencil collectors. 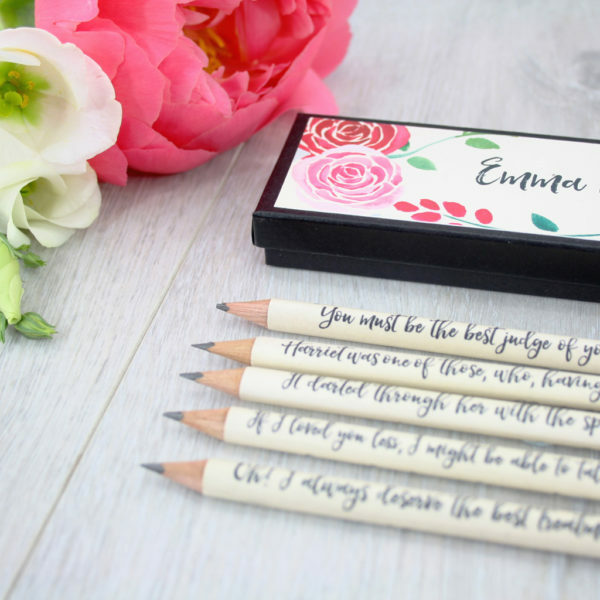 This Emma Jane Austen Gift Set comes with five HB pencils in a matching gift box. 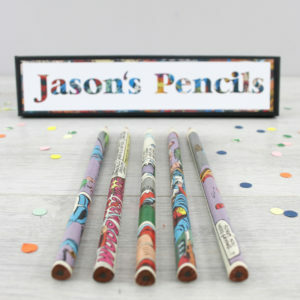 A whimsical watercolour illustrated design on both the gift box and pencils. 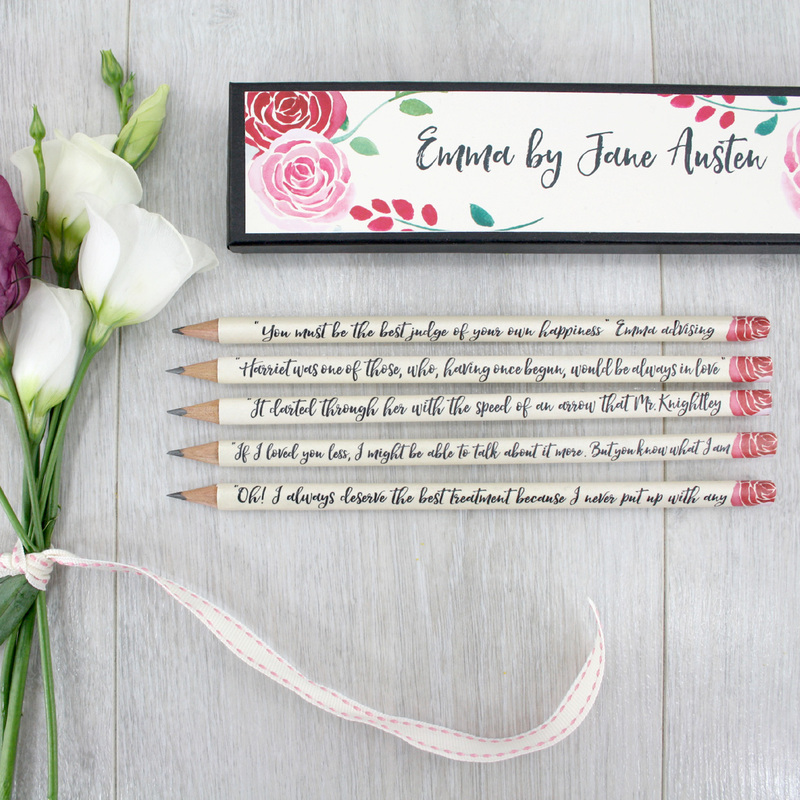 The perfect present for book lovers and Emma Jane Austen fans. 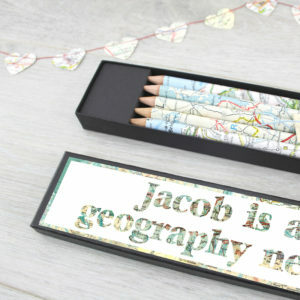 A literary gift for that Birthday girl or your special someone on your anniversary. Emma is one of Austen’s more whimsically romantic books, a novel on manners and matchmaking. 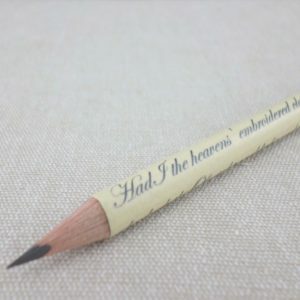 “It darted through her with the speed of an arrow that Mr. Knightley must marry no one but herself!” – When Emma admits to herself that she loves Mr. Knightley. – Mr. Knightleys declaration of frustrated love to Emma. “I always deserve the best treatment because I never put up with any other.” – A true feminist is our Emma. 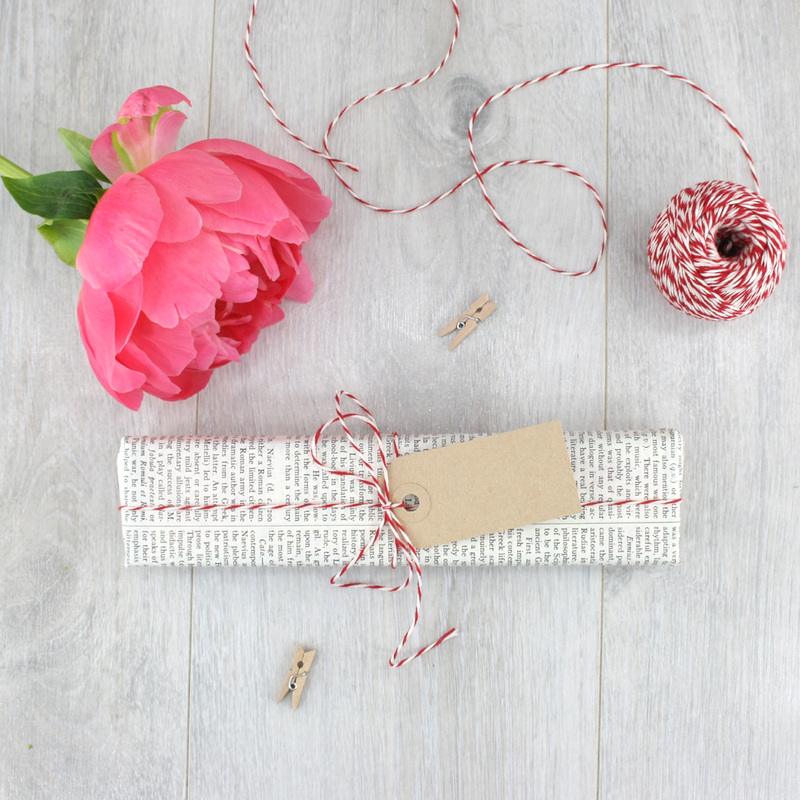 Have your pencil set gift wrapped in a page from a vintage encyclopaedia and tied with red and white bakers twine and a mini gift tag.